General English is an intensive course designed for students who wish to improve their English for communication, work, or travel purposes. Classes are organised according to English level, which is determined by our own internal testing system. General English covers reading, writing, listening and speaking for communication and is taught at all levels from beginner to advanced. 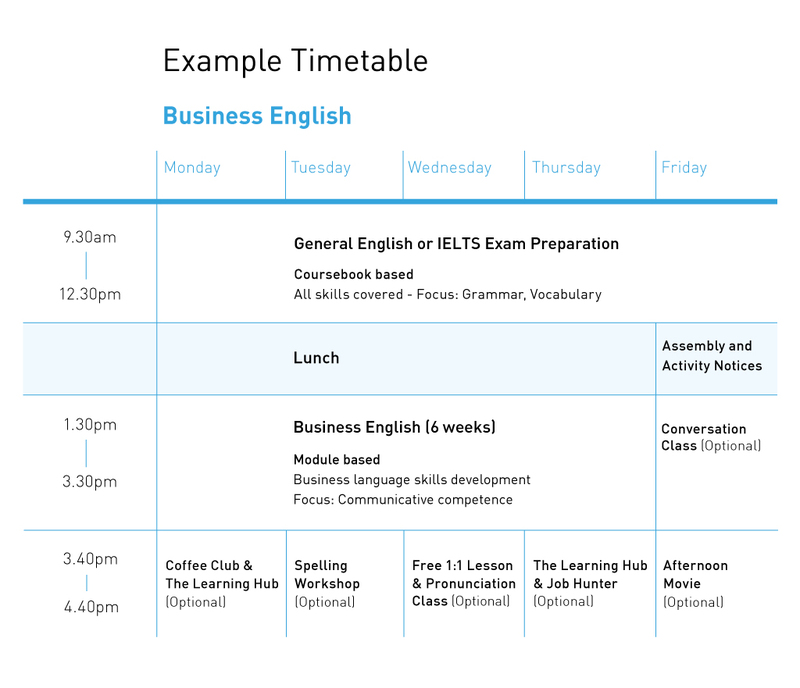 Extra workshops and modules are also available, including pronunciation, writing, and English for business. All students at Campbell receive free weekly 1:1 language workshops as part of their programme. This is the Wellington Campus timetable. Due to its smaller size, the Auckland Campus runs optional classes on demand. Please contact us for more information.